We thought it would be interesting to expand our location existence and experiences and not just have a pin pointed map of where we are located, so we put together a full approach to our home and business from the very outside parameters of the globe and zeroed in to share what this place is all about, important information, some facts, some good and some bad details about the overall area and so on. Let’s zero in as if we are looking in from space until we arrive at our home and our home based business Active Atom that specializing in CNC precision machining and micromachining. First and foremost we are located on North American Continent in the Continental United States of America known best as the lower 48 of these 50 great states. Second we live on the western coast, Pacific Ocean of the North American Continent in the State of California. The state of California has 58 counties. The capitol of California is Sacramento, we are located 485 miles southeast of the state capitol. Third we live in the southern half of the State of California named Southern California. Southern California is comprised of 10 counties. Forth we live in the Inland Empire of Southern California. The Inland Empire is made up of 2 counties Riverside County and San Bernardino County. Fifth we live in San Bernardino County. The county is located in the southeast of California. San Bernardino County is the 5th most populated county in California and is the 12th most populated county in America. San Bernardino is the largest land mass county in America measuring in at 20,105 square miles total with land making up 20,057 and 48 square miles made up of water area. 81% or 16,285 square miles of the land in San Bernardino County is controlled by the US Government leaving a mere 19% or 3,820 square miles are private lands where we reside. There are a total of 51 cities, towns and CDP’s (census designated places). CDP’s are areas that have just not formulated a town or became officially a city, they have no legal boundaries. While the County of San Bernardino is the largest county in the USA, its population is anything but, there are just over 2 million people living in this county. Nearly all 2 million of the counties residents live in the main city areas, the far western side and area 480 square miles of the 20,105 total county square miles. The 480 square miles of residents we are discussing is just south of the San Bernardino Mountains, a much more urban high density style and way of living. To the northern side of the San Bernardino Mountains there are another 300 thousand residents living in the northwestern area of the Mojave Desert of the county in an area the size of 280 square miles of 20,105 total square miles the county controls. At Active Atom, we are way south of the higher populated 300 thousand residents and southeast of the highest populated area of 2 million residents. We live rural in the Mojave Deserts most south western corner. San Bernardino County has 35 National Wilderness Preservation Areas, 35 by quanity make up the most of any county in America, yet in total these National Wildernesses do not make up the largest square mile total park space in America. Americas largest national park goes to Alaska, it is home to that National Park named Wrangell-St. Elias National Park at 8 million square miles in size. 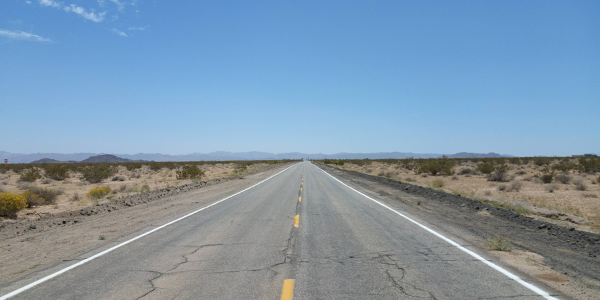 The two most popular National Wilderness Preservations located in San Bernardino County are the Death Valley National Park and the Joshua Tree National Park. Sixth we live in the Morongo Basin. This basin is located in the southwestern most part of the County of San Bernardino. The Morongo Basin is made up of 8 cities, towns, CDP’s, with a total population of 68 thousand residents, and then there is the worlds largest US Marine Base. The Marine Base named the Marine Corps Air Ground Combat Center Twentynine Palms has 12,000 plus active duty personal, 36,000 plus DoD contractors personal and residents, not including the ever fluctuating active duty military personal swell troop training. Training events bring in military personal nationally as well as foreign troops for training and that population grows by an additional 30,000 to 50,000 active duty military members. True activity and populations on the 998 square mile Marine Base are not disclosed. The Twentynine Palms Marine Base alone utilizes nearly 1/20th of the entire county of San Bernardino’s land mass, and if we add in the other military locations such as Marine Corps. Logistics Center Barstow, Norton Air Force Base, Ontario Air National Guard Station at the Ontario International Airport, Norton Air Force Base, Fort Irwin National Training Center, George Air Force Base you can see that all combined in square miles of San Bernardino County, the military land use is gigantic, maybe nearly half, even when you consider that as we mentioned San Bernardino County is Americas largest county by land size. This means the US Government i.e. the Military and the 35 National Parks or Wilderness Preservation areas take up 81% of the land, so there is very little private land (19%) area left of the 21,105 total square miles for population growth. The Twentynine Palms Marine Base fires heavy artillery shells, aircraft drop large ordinances, giant night flares light up the desert floor for nearly 100 miles in all directions during training and training is often. Though we are located 20 miles west of the main base entrance the booms are unmistakable and feel as though the ground vibrates. We at Active Atom love these powerful guns, bombs and night lights. The area topography is a desert landscape made up of broken rocky mountains, hills, alluvial fans which are framed by these hills and mountains. 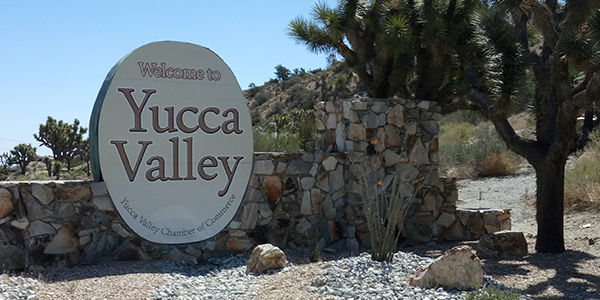 The area is an enclosed water runoff drainage basin that begins in Yucca Valley floor at 3,300 feet above medium sea-level and water drains eastwardly towards the City of Twentynine Palms at an above medium sea-level of 1,950 feet home to a vast salt lake bed. This dry arid environment of natural drainage all works like a funnel where the water all stays contained in the basin and has no way to drain to the Pacific Ocean which nearly all California water does. While this is the Mojave Desert (high desert) there are few trees, plant life, mostly shrubs Chaparral, Yucca Plants and Joshua Trees. Temperatures are about 10 to 15 to 20 degrees lower then that of the low desert named the Colorado Desert (Palm Springs, Coachella Valley areas). Seventh we live in the Town of Yucca Valley, California. We are Patrick Lara and Lance Conway and we run Active Atom, LLC, Patrick Lara and Lance Conway pen pointed to the exact place where we create and machine great American Made products for you to enjoy and share.